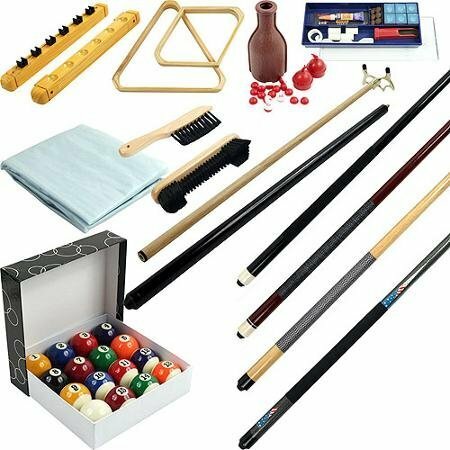 Yes, online shopping on Amazon for Snooker Accessories is necessary for all snooker fans. Poolsbilliards.com was set up solely to provide you with curated items in the snooker arena. Cues are tapered sticks that serve as an essential equipment in snooker. Used to strike a ball, this stick is about 1.5 m long and weighs between 16 and 21 ounces. In general, professionals gravitate towards 19-ounce. Generally, cues are made up of wood, but sometimes wood is covered or bonded with other materials like carbon fibre or fibre glass. Cues are of three major types: one-piece cue having the uniform taper, the two-piece cue which is divided in middle for easing transportation usually in a cue pouch or case, the third variant is also a two-piece cue with a joint located three-quarters down the cue. Control, accuracy, and consistency play a vital role in playing snooker effectively. In order for players to attain a level of consistency with their break-offs, the 15 red balls required to be positioned accurately behind the pink ball without skew, and here a snooker triangle comes to your rescue. Racking the balls with snooker triangle is much easier. Just drop all the red balls into the triangle and while leaning on it push it forward to hit the Pink spot. Make sure there’s no gap between the balls and lift the triangle up and drop the Pink ball on its spot. In snooker, a set of 22 balls is used out of which 15 balls are unmarked red balls and 6 balls are of different colours viz. yellow, green, brown, blue, pink, black and a white coloured cue ball. Distinct points ranging from 1 to 7 are assigned to each colour. The balls are placed at different predetermined spots. The size of the ball is technically standardized at 52.5 mm in diameter. The standard weight for the balls is not specified but all balls comprising the set must weigh equal. 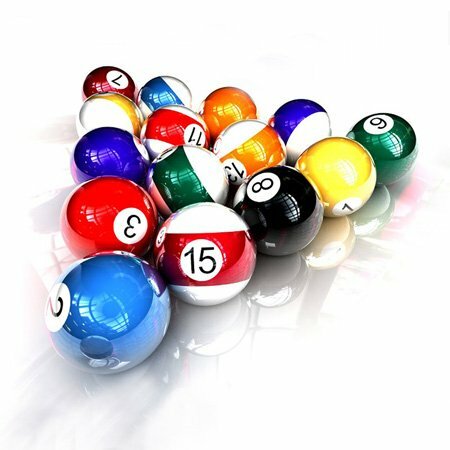 For playing on smaller snooker tables a set of balls having 10 red balls instead of 15 is available. The playing surface for snooker commonly known as Snooker Table measures 11 feet 8.5 inches by 5 feet 10 inches while the small table that is used in homes or smaller snooker halls measures 10 feet by 5 feet. The table has six pockets that are around 86 mm in size, however, to increase the difficulty level in high-class tournaments tables having slightly smaller pockets are used. The bed is often covered with green baize cloth but nowadays other colours are available too. The thickness of the cloth determines the speed of the table and responsiveness. The thick cloth is less responsive to spin. Leather tips of different curvature and varying degrees of hardness are glued to or screwed into the ferrule. The tip end of the cue varies between 9-10 mm in diameter. Rounder tips or tips with smaller radius impart easy spin to the cue ball. Leather tips demand extra care because they tend to compress and harden with subsequent shots. Various grades ranging from very soft to very hard are given to the tips on the basis of their hardness. 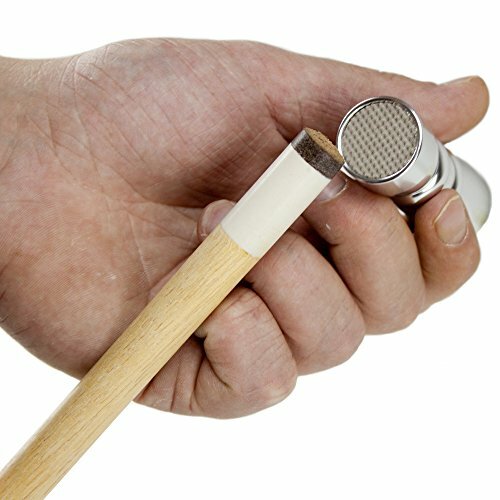 Cues with softer tips hold chalk well but are not able to provide consistency while harder tips remain in their shape providing better control and consistency.